The Hong Kong government appears to have been burning the midnight oil studying how authoritarian governments go about suppressing opposition. Some may argue that the Hong Kong government has taken its time before joining other would be authoritarians. But that time has now come with the ban on the Hong Kong National Party, signalling that the process has begun in earnest. Moreover, the SAR’s first big venture into authoritarianism seems to have been carefully copied from the authoritarian playbook. What is remarkable about this metaphorical book is the stunningly similar ways in which the enemies of democracy work. This is more less what happens in every instance: First up marginal opposition groups are outlawed. The authoritarian governments guess that they will have few defenders. This softens up the public for extending the crackdown to move on to rather larger organizations. Gradually all types of opposition activity becomes a target. As the net widens the government uses the impeccable logic of arguing that once a precedent has been set there is every reason to go further and root out more dissidents. 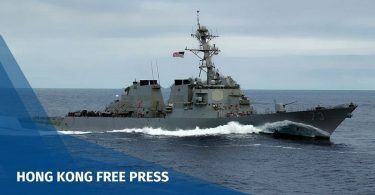 And, of course, it does not stop there, because it was never designed to do so – on the contrary, the objective from the very beginning is not to mess around with marginal groups but to delegitimize mainstream opposition groups and neutralize opponents. Sometimes this process of neutralization is brutal involving torture and fatalities and at other times it entails using the law to incarcerate and in other ways make life impossible for government enemies. What varies are questions of degree – the final objective is something held in common. There is no need to search deeply in history for examples of how this is done. A case in point being developments in Turkey today which started with a clampdown on Kurdish organizations, the target being a minority group with little general support. Once this was accomplished the purge quickly moved on to other political parties including the mainstream People’s Democratic Party and spread like a virus in a more wide-ranging rampage which includes curbs on the media and the expulsion of some 150,000 alleged anti-loyalists from the civil service, the judiciary, the military and, as ever, there was a purge of the legal and academic professions. 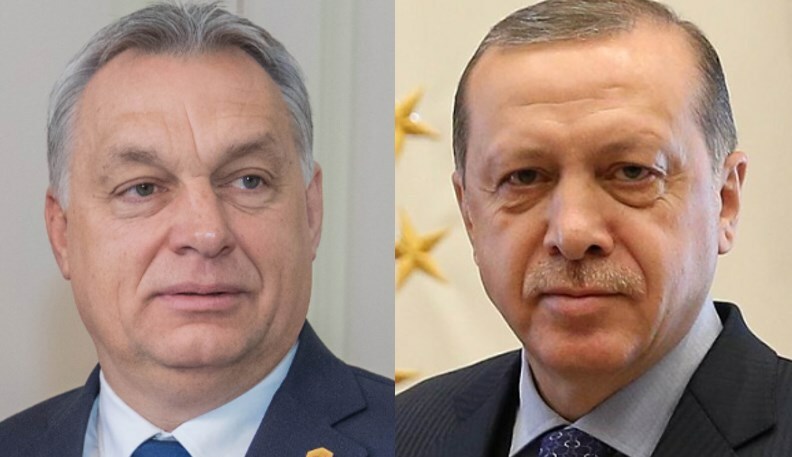 Viktor Orban and Recep Tayyip Erdogan. Photo: Wikicommons. In Hungary, the proto-fascist government of Viktor Orban mounted the stage by unleashing racist vitriol on immigrants and revived the vile antisemitism of another era. There are hardly any Jews left in Hungary but as the authoritarian playbook always starts with marginal groups, regardless of their number, this hardly matters. From this dismal place Orban moved on to curbs on the media and a crackdown on civil society organizations that he views as enemies and so it goes on. 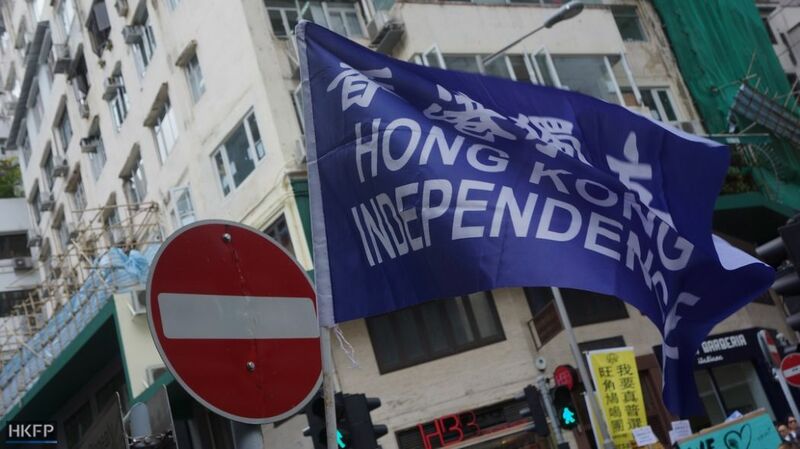 Given that Hong Kong is now travelling down a path well established by people like Orban in Hungary and Erdogan in Turkey who can seriously doubt that the outlawing of the micro-size and martyrdom-inclined Hong Kong National Party is anything other than a prelude to more sweeping action. Photo: Hong Kong National Party. Make no mistake what happened to the hapless HKNP is not a warning but a threat. 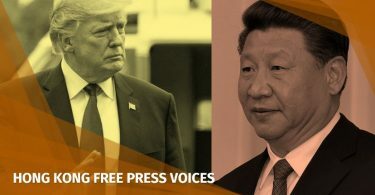 The rapid response to the ban from overseas governments has, unsurprisingly, been shrugged off as unwarranted “meddling” in Hong Kong’s internal affairs. Unfortunately this came on the same day that the government welcomed an accolade from Canada’s right-wing Fraser Institute putting the SAR at the top of its league of places that receive the institute’s seal of approval for free economies – tut tut, that sure sounds like foreign meddling to me but then again over in Tamar the accusation of meddling is never raised when it involves kudos as opposed to brickbats. This, however, is something of a sideshow, albeit one that will gradually erode Hong Kong’s standing in the international community, what really matters is what’s happening here. 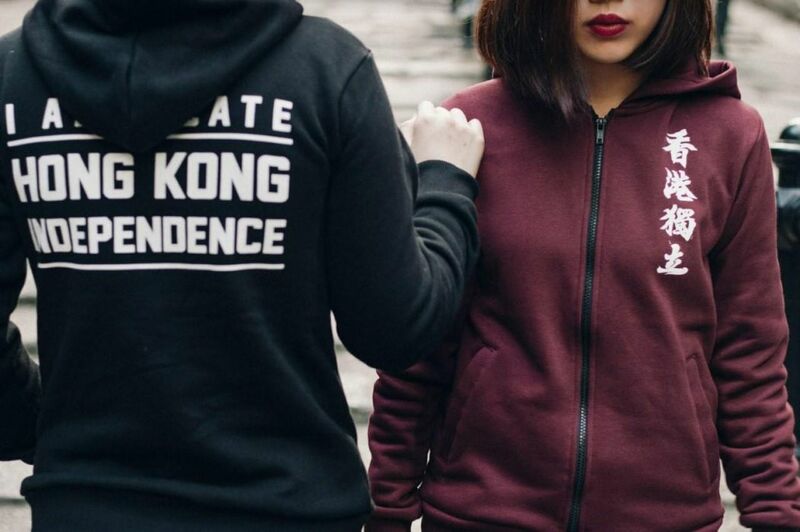 And what’s happening is that the government is either unable or unwilling to even try and make the argument against Hong Kong independence, despite the fact that the majority of people are opposed to it. Instead, it resorts to extreme means to shut down the discussion. In so doing it gives a greater status to independence advocates and displays a fundamental lack of confidence in its own ideology. A characteristic that is shared among authoritarians worldwide. So, what comes next? The only sure answer is: nothing even vaguely good.